This post is part of an ongoing series about the little things I’ve developed and discovered over the years to help me to regulate my overactive sensory system and concentrate on other things. Part 1 is Socks and Autism. As any parent of a particularly sensitive youngster can attest to, trimming your child’s nails can be one of the most harrowing experiences of the week (month). If your child is anything like I was when I was younger, trimming the claws that develop at the ends of their fingers and toes down to a reasonable length is a harrowing experience to say the least. I used to yell, squirm, scream, and cry hysterically, often in full meltdown mode, despite my parents’ constant assurances that it wouldn’t hurt my nails, that they were dead there, and this was just to trim it off so they didn’t grow super long. I HATE long nails – I’m a pianist, and I hate the clicking when I hit the keys. I also hate accumulating dirt and junk under them – that is utterly gross. But despite my constant desire for short, clean nails, the act of actually making them short was pure, sheer torture. Even after I got used to the clippers on my finger nails and could sit (relatively) quietly for those, trimming my toenails continued to be a battle. I hated the way the clippers put pressure on the nail, forcing it to bend. I hated the sound they made, almost a squelch before the snap when the nail was actually cut off. I hated the slightly jagged edges that came when it was all finished, because the clippers didn’t fit exactly on my nail. Contrary to my parents’ assurances, the process hurt me quite a lot. It hurt my sensory system when I felt the pressure changes. It hurt my ears when I heard the sounds associated with it. It hurt my skin when I cut it on the newly trimmed nails. Everything about it was miserable. My parents tried everything, from doing it while I was sleeping (I always woke up, terrified and melting down), to having me soak my hands in warm water for 20+ minutes before they trimmed them, to playing music, to outright bribes. Nothing helped. Until one day, I saw my father cutting his nails with a pair of nail scissors. I didn’t hear any of the awful sounds, and so I asked him if he could try to use it on my nails. He agreed, and I’ve never looked back. Yes, nail scissors require a little more concentration so that I don’t cut the nail bed, but beyond that, they solved every one of my issues. There’s no longer the weird awful flat pressure that comes with traditional clippers. Additionally, I can cut each nail all in one go, following the contour of the nail. There’s no awful sounds produced either. And when the nail has been trimmed, it has a nice smooth finish to it – no more of those jagged corners that get stuck on things. Personal hygiene and grooming is something many on the autism spectrum struggle with due to various sensory sensitivities and executive functioning issues. The discovery of nail scissors was HUGE in my world, transforming the task of trimming my nails from a biweekly (every 2 weeks) meltdown that usually ended in extreme pain and terror, to a rather painless, relatively quick experience. As I got older, I mastered using the nail scissors on my own, first doing my own left hand, and having my father do my right. I quickly mastered using both hands equally well, and have been trimming my own nails, when I want to trim them (which is about once a week, to keep them nice and short) since about age 11. For a simple task that had caused me to go into full melt down mode only 1 year before, I’d say this was a pretty big step. This was fascinating. I’ve never thought before why I have always hated nail clippers. I have never used them on myself or on Nic or Emma. I can’t stand them and have always found them frightening, but never questioned why that was so. It was incredible to read this post. I began cutting Emma’s nails when she was a baby and she has never minded and loves having me paint her toenails bright colors. But Nic hates having his nails cut and can barely sit still to let me. I’ve tried showing him how to do it himself, but he won’t. So I try to as gently as possible. He tolerates it, but still dislikes it. Thanks for this E. I find your persepective invaluable, because it clues me in to what my son might find so alarming about nail trimming. Like Ariane, I personally cannot stand clippers and have always used nail scissors. Oliver has got better over the years – he will let me trim his finger nails now without too much trouble but his toe nails continue to be an ordeal for both of us. Last time was probably the best experience we’ve had so far. I trimmed as quickly as I could and that seemed to make a difference. I freely admit to using bribes! I have no problem whatsoever giving him something he loves in return for him managing to hold it together long enough for me to do what I have to. But like a detective, I continue to try new approaches to see what works best for him. Wow, such an insight, this is the one thing we still REALLY struggle with. He hates long nails so I mostly let him bite them. I need to trim his toenails and I will go get a pair of scissors right away because it makes him bonkers. I see why now. I find counting them really helps calm him…numbers are his thing. Hmmm interesting. I never quite understood why my son hated nail cutters. Someone else suggested scissors, but I don’t feel safe using them as I can’t see. Solutions for us are always really complicated. With nails. My Son has tended to bite them. Not good but better than the trauma of cutting. With toe nails he will let me clip them when they desperately need it. I’m hoping that soon he will be able to try himself with scissors. This was such an awesome post!! I *so* identify with your parents here, my son *hated* having his nails cut!! As a baby I was too scared of chopping a bit of his finger off, so I switched to filing them down. That worked for a short time, but he started hating that too. Then I started filing them when he was asleep. That worked for a short time, but then he’d wake up almost immediately, melting down. He went through a stage of biting his nails so I wouldn’t have to cut them. That upset me!! The sound of him chewing his nails was just horrible!! **lol** But that worked for us for a while. After about a year of that, I really couldn’t take the nail biting, plus he’d hurt his fingers cause he’d bite the nails down too far. Distracting him with TV and yummy snacks led us into the beginning of an early truce. Now he tolerates it if he knows he can play computer games once I’m done. The toes are harder to do than the actual hand nails, he barely notices the hands getting done anymore. This is such a great post, I’m going to try the scissors on his toe nails! Maybe now that he sits still better, I’ll be able to do it without fear of hacking parts of him off!! Oh no!!!! I hope he didn’t feel the same way about nail files!! Poor kid! As a new parent (he was my first), you feel like you’re stumbling around in the dark anyway, it makes me cringe to think of all the things I did wrong for him!! Baths times have been quite the battle for us because of a traumatic experience he suffered two years ago with a very badly handled blood sampling for genetic testing. He’s just recently started to get over that, fortunately, so we’ll definitely try it after bath time next time. I’m just not the nimblest of people (fine, I’m clumsy), so that’s why I avoided the nail scissors even though my mother kept suggesting them. The clippers seemed safer, but he sits still now. I’ll definitely let you know how we get on!! 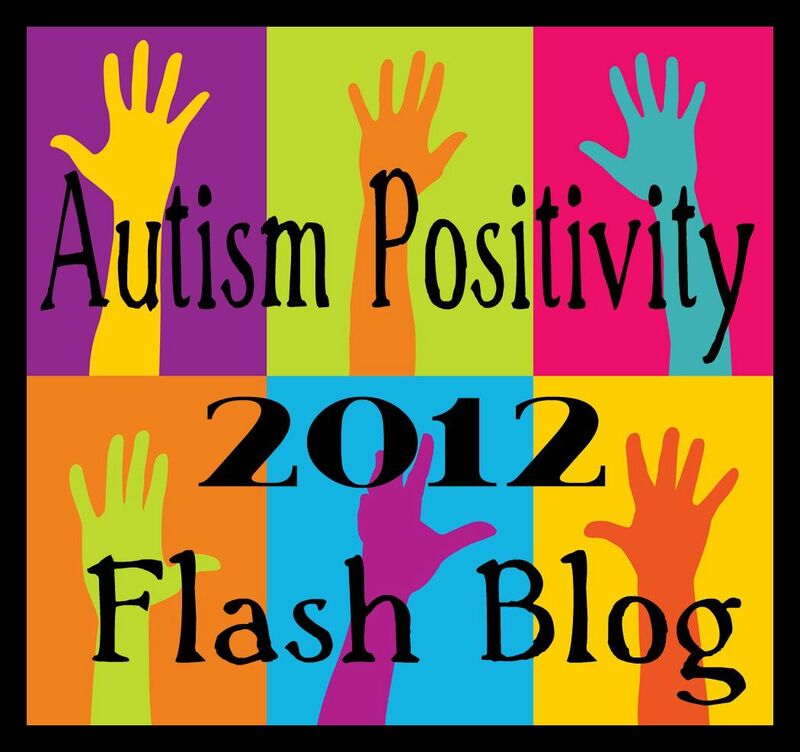 **yay** You have such an awesome blog, I’m so grateful to you for recounting all these early childhood experiences. I’ve learned so much. I’m sorry you had to go through so much. I hated having my nails done too, I’d scream bloody murder (it really hurt, it literally felt like they were chopping the ends of my fingers off even though they weren’t), but when you talked about the squelching sound and all the other things you felt and hear, it really brought it home how different it might feel for my son. Thanks again, hope you have a great week!! I too, have difficulty getting my son to sit for clipping. He used to fight a lot more but now tolerates it somewhat better although he still tries to pull away (he’s 6 now). I only do it after baths but the nail scissors may be viable. He’s just such a squirmy child anyway that I’m nervous doing it. Perhaps it will be a better experience. If so, I’ll come back and let you know. Thank you for posting this. It helps so much to know what the underlying cause may be by seeing what others who lived it can tell us. Glad you’ve found this interesting. 🙂 Make sure that if you DO try it, have him soak his hands first so his nails are nice and soft… 🙂 good luck! (Also, remember that what works for ME might not work for your son. But if I DOES, then that’s super awesome, and I’m glad to have helped. :)) Cheers! So I tried it, and it totally worked. I even did it on my little brothers (who are visiting, they’re 10 and 8) and they were a lot less complain-y about it than they usually are. It was also easier to do, the cuts were faster and easier. 😀 That’s fantastic!!! 🙂 I’m so glad it worked for you! a) I meticulously would cut my fingernails, and in doing so, cut them too close, causing intense pain in my fingers/nails for days at a time. b) One time i applied pressure wrong when clipping my nails, and caused the cutters to turn sideways and hurt my nail. Since then I’m kind of paranoid of doing that again, because it was very painful. When I entered the telecom industry, I came upon “Electrician’s Snips” ( http://www.flukenetworks.com/datacom-cabling/installation-tools/Electricians-Snips ) and love using them to clip my nails. I use them daily anyway, so when I’m thinking about it, or bored, I go to town and trim my nails up right then and there. And it leaves a cool ridged pattern on my nail that wears away in a few hours of daily use. They look like scissors but are made to cut thick copper wire without effort, so they go through fingernail like it’s nothing. Very true- if you can find solutions that works and are adaptive- all power to you! If you don’t, this is where I am advocating you to use Twitter (less so Facebook because of their friends policy) to your advantage. It is a growing medium where many helping professionals are on there- whether it’s for networking or having people more aware of their work. It will make your life so much easier when some issues in life come up that you need help with. Even if you don’t use it for that purpose, it does offer you a sense of security that help can be a tweet or Facebook message away.